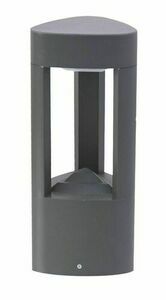 Thank you for submitting your question about Lighting pole LED FAN GL 11204 dark gray 50 cm. 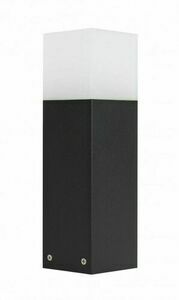 Ultramodern lighting post from the FAN series (50 cm high version). Made of aluminum. The varnish, in the color of dark ash, was applied by a powder method. Thanks to this, the FAN lighting bar is very resistant to weather conditions (frost, wind, rain and high temperature). Its modernist formula will suit perfectly both in the office and industrial surroundings, restaurants as well as in the garden and park.